Mumbai: Kangana Ranaut, the one who triggered the unstoppable debate about nepotism in Bollywood, has always been in the news for her controversial statements, but this time it’s her films that are gaining media spaces. Speaking to a leading daily about her career and the direction she wants to take in, the actress said, “’Simran’ is a comedy, not a biopic. I believe after Srideviji, I’m the only actress who’s doing comedy… be it as Datto or even Tanu in ‘Tanu Weds Manu Returns.’ Unfortunately, we don’t have a lot of scope for female comedians. Raju sir (Raj Kumar Hirani) recently mentioned that he wants to make a film on a stand-up comedian." Is Kangana eyeing on the stand-up comedian role by Raj Kumar Hirani? ‘Simran,’ directed by Hansal Mehta and features Kangana Ranaut in the lead role, made controversy over its credit (as film’s writer) fued. 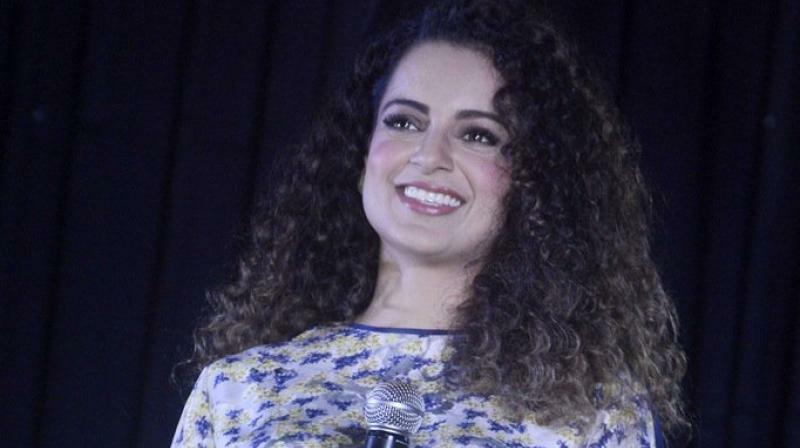 Mehta and Kangana were supposed to team up for ‘Rani of Jhansi: The Warrior Queen.’ But the National Award-winning star announced another film titled ‘Manikarnika — the Queen of Jhansi’ with director Krish, which did not go well with Mehta and he slapped Kangana with a legal notice. ■Taapsee Pannu paid more than Kangana Ranaut?